Legal document assistant Ida #464 with a focus on family and Immigration law. 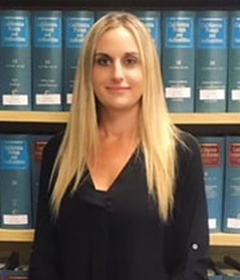 Ms. Jacquelyn Ross is an honors graduate from Coastline paralegal program in Newport Beach, Ca. She was recognized for her superior academic performance and was introduced into the national honor society founded by the American Association for Paralegal Education. Lambda Epsilon Chi, (LEX). She is currently finishing her Bachelor of Political Science degree at Cal State Fullerton and pursuing onto Law School. 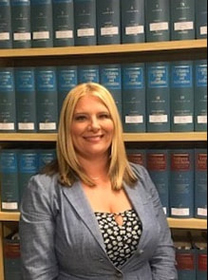 Jacquelyn also holds an active Notary Public Commission in the State Of California, Commission number 2171250, and is a Process server for the State Of California. Outside of work, Jacquelyn can be found with her two dogs Porsha & Bentley at the beach surfing. OC Legal Doc's has pledged to donate 1% of profits to help support The Beagle Freedom Project. Thank you for supporting our business and our fight to protect laboratory beagles. Experienced paralegal with a focus on Wills, Trusts and Estates, Social Security Disability Insurance (SSDI) Applications & Appeals. Ms. Shiana Lovejoy graduated with honors from Coastline paralegal program in Newport Beach, Ca. She is currently finishing her Bachelor of Political Science degree at Cal State Fullerton University and pursuing onto Law School. Shiana also holds an active Notary Public Commission in the State Of California, Commission number 2178079. In her spare time Shiana is a passionate Animal Rights Activist who provides support to various organizations that advocate and secure the release of laboratory animals. Her focus is raising awareness to the community and her peers on unnecessary laboratory testing conducted on animals who endure abuse. She promotes the use of cruelty free products, and tirelessly advocates encouraging companies to stop unnecessary cruel and painful tests on animals. In her free time she likes to take her dogs to the beach. Thank you for supporting our business and our fight to protect animals.